Over the years I've gotten a lot of questions about finding and sewing with vintage sheets. 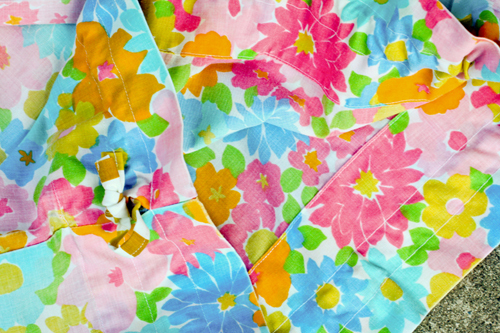 So, I've written up this post as a resource for all things vintage sheets! So get ready and get thrifting! New to thrifting? Check out my Thrifting 101 post! 1. I have been working with vintage sheets long enough that when I see a sheet I can usually tell at a glance whether it is vintage or not. This instinct is (I think! ), based mostly on color and pattern. 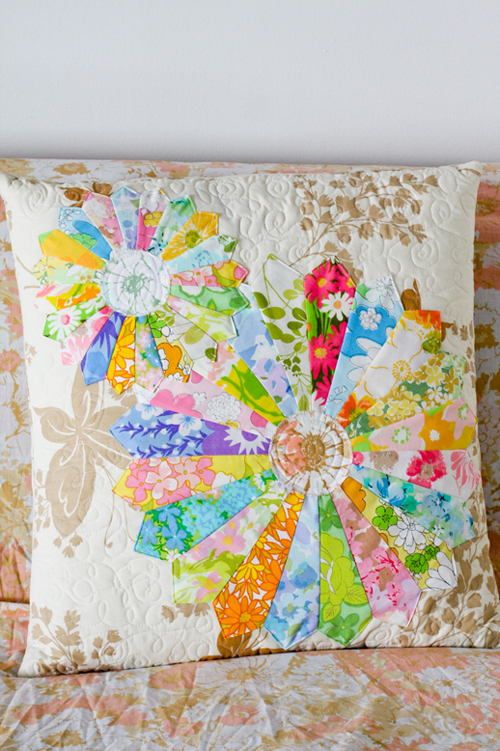 In general, the patterns used in vintage sheets are busier and (in my opinion!) more interesting than today's sheets. Nowadays it seems that solid sheets and toned down patterns are more popular, with the exception perhaps of teen and child sheet sets which are often fun and colorful. 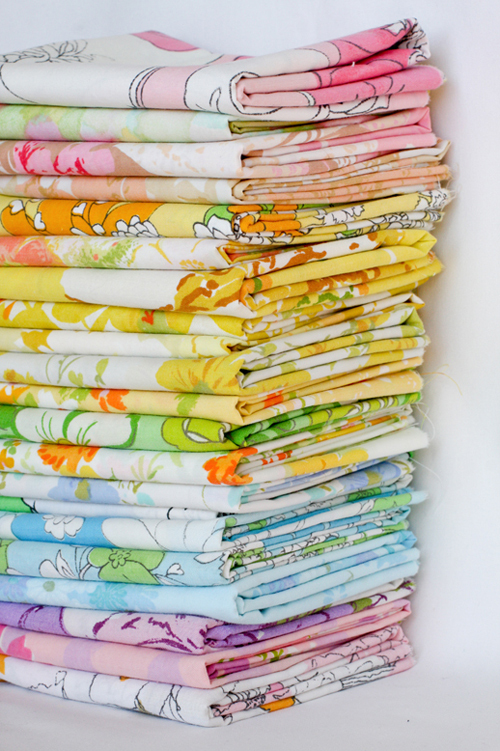 Vintage sheets tend to be very colorful, whether it be super bright or simply lots of variety. 2. Another way to tell whether a sheet is vintage or not, is the feel of the sheet. For the most part, vintage sheets made in the United States at were 50%/50% polyester cotton blends. This is a big difference compared to today's sheets, which are generally 100% cotton unless you're buying inexpensive sheets. This blend gives sheets a certain feel. They are normally not wrinkly (thanks to the polyester! ), and have a slightly slippery, thinner feel. 3. Last but not least, check the tag if it's still there. It's usually along the thin bottom hem. The tag can sometimes be a dead giveaway! Most vintage sheets have tightly woven tags with the information printed on it. This is a contrast to today's plastic-y tags and woven tags. There are some vintage sheets that have the plastic tags, but they would be slightly newer. The look of the tag and the brand or line can help you approximate what era it is from as well. 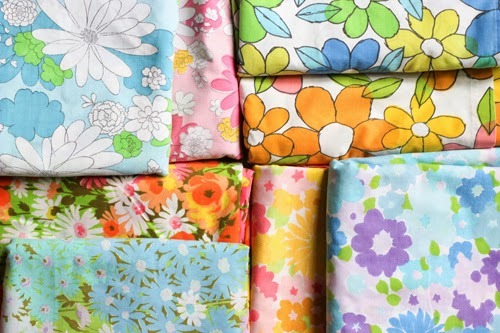 Some common vintage sheet brands and lines include Cannon (Monticello, Featherlite), JcPenny (Percale), Pequot (Percale), Springmaid (Wondercale), Sears Roebuck and Co. (Perma-Prest, Percale), Pacific Miracale, Vera, Penneys (Fashion Manor, Penn-Prest), Dan River (Dantrel), Wamsutta (Superlin). Just to name a few from my sheet stash! Keep in mind, more important than whether or not a sheet is vintage, is whether or not you like the pattern! Every once and a while I find a sheet that isn't vintage that I really like, and I don't let that stop me from buying it. If you like it, go for it! When you first see a sheet that appeals to you, there are a few things you should thinking about before buying. 1. Check for stains, paint, and any holes or tears. Depending on what you'll be using the sheet for, you may be able to still purchase a sheet with some imperfections. 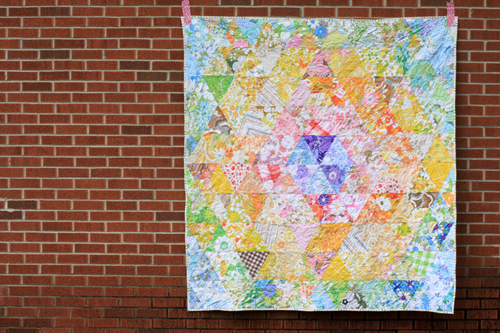 However, if you intend to use it as a quilt backing or as an actual sheet, you'll want to be sure it's okay. Keep in mind some stains can be removed, but not all. 2. Check for matching pillowcases or additional sheets. Some thrift shops will keep sets together and attempt to sell them as sets. Sometimes though, pieces get separated. 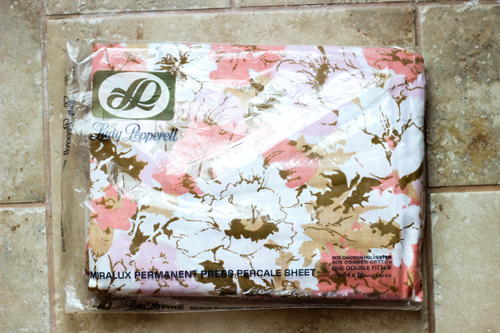 Most shops have the pillowcases together, separate from the sheets and sheet sets. Check there before leaving, you might end up with a set! 3. Check the middle. This is especially important for fitted sheets. They are often faded or thin in the center from prolonged use. Again, depending on your needs, it might not be a big deal, but definitely check! My favorite place to shop for vintage sheets is thrift stores. For my tips and resources on thrifting, check out this post. My second favorite place to shop for vintage sheets is Etsy.com. 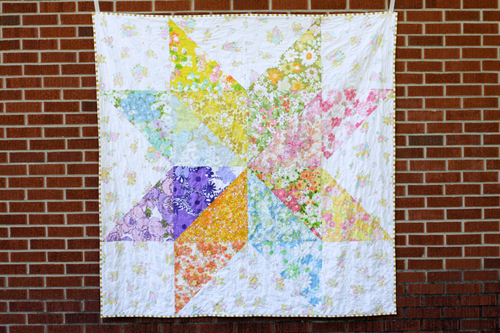 There is a huge vintage section of the site, and you can often find both whole un-cut sheets as well as fat quarters or yardage. Now that you've thrifted a few sheets, it's time to treat and care for them. 1. The first thing that I like to do when I come home with a pile of sheets is again, check them for stains. If a sheet has a lot of stains or is pretty dingy, I will presoak it before washing it. I like to soak my sheets in hot water + a little detergent + a healthy scoop of Oxi-clean. I LOVE Oxi-clean. 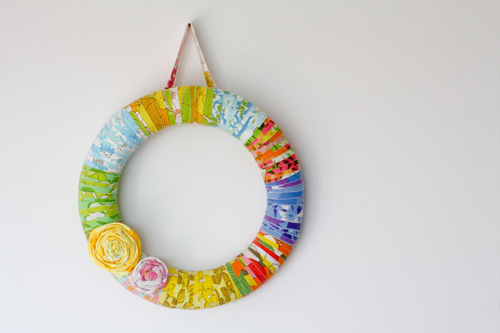 It can do amazing things, even to vintage fabrics. I highly recommend trying it out. You do have to be careful as it is strong, so especially with delicate linens, make sure it doesn't eat them. I've never had a problem, but you never know. 2. After I've presoaked any sheets that need it, I wash them. I like to wash sheets with hot water, using detergent and Oxi-clean. Then I dry them on high heat for 45 minutes. The hot water and hot dry simply insure that they are nice and clean! 3. When they come out of the dryer, I like to find a place to lay them out so they can cool off and won't get wrinkly. Then, I stack them all up and put them away! One thing to note, if you happen to find a sheet that's new in the package, it may need a little extra care before it's ready to sew. Used vintage sheets are so soft because they've been washed and dried many times over the years. Unused vintage sheets tend to be a bit stiff and may need a few extra washes to soften them up and make them easier to work with. 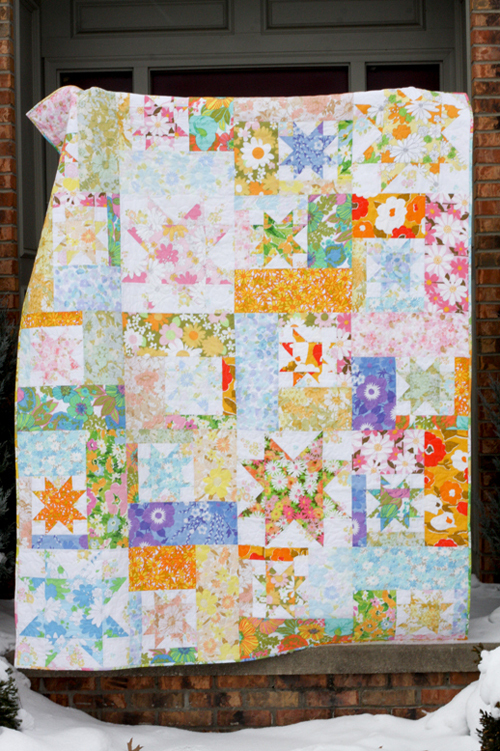 If you're interested in how I cut up my vintage sheets into easily usable pieces for quilting, see my tutorial here. 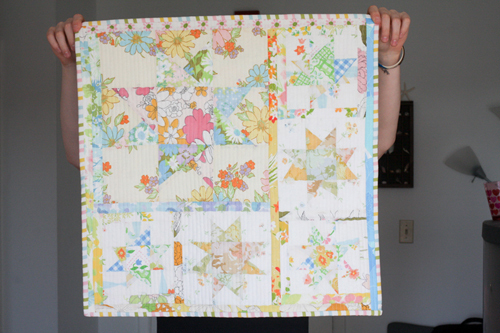 Sewing with vintage sheets is pretty much the same as sewing with regular quilting cotton. Most sheets are a little slippery because of the fiber content and higher thread count. This means there are a few things to do different when sewing with sheets. 1. Use a sharp, new needle. My favorite general needles sizes are 80/12 and 75/11 (or 70/10). I use both Schmetz Universal and Organ HL needles regularly in my machines. 2. 100% polyester thread. For most quilting projects I use 100% cotton thread, but I find polyester to work better with vintage sheets. The higher thread count means the fabric is more tightly woven, and I find polyester thread stitches more smoothly through vintage sheets. I prefer Guterman Sew-All Thread, usually in white. 3. Press well, using starch or a starch alternative (I love Flatter by Soak). That slipperiness can be combated by a bit of starch. This helps stiffen things up a bit while sewing and can make sheets easier to work with. 4. Backstitch. I tend to be an over-backstitcher in all my quilting, but I find backstitching especially important with vintage sheets. Sometimes the sheets can be pretty delicate and may fray easily. Taking the time to backstitch at the beginning and end of every seam helps give your project a little extra longevity. 6. Take extra care while basting your project. 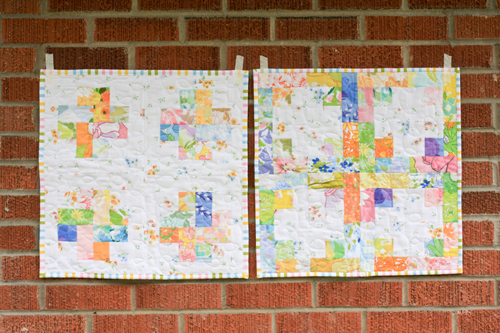 I use a few extra pins when working with sheets in comparison to quilts made from quilting cotton. When in doubt, over baste. I've never regretted using more pins, only less! I love your blog and style! Thank you for the tips on vintage sheets and all the lovely inspiration for how to use them! Your quilts are incredibly beautiful. Thank you so much for sharing this!! :) I may just try the thrift shops in my area, now that I've got an idea of what to look for!! Thank you. I'm not overly found of vintage sheets individually but your flair for colour inspires me to give them ago. Great post Jeni. I love the look of vintage sheets but have been reluctant to hunt for them until now. Thanks for the tips! I am also happily expecting my first order that I placed with you. 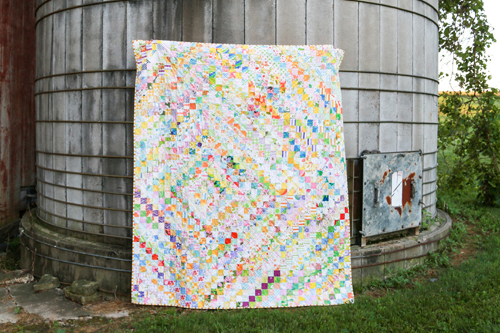 How funny, I just posted about my Vintage Sheet Quilt! I love your Dresden quilt and I am so envious of your sheet stash. The vintage sheets have been few and far between around here. Thank you for this post! I FINALLY hit a huge stash of sheets at a garage sale last week. Yay! I went with hot water, detergent and biz to clean them and they seem good. Now to decide what to make with them. Thank you so much for all the inspiration. You are great! Great post! I love your blog header... so cute. You have inspired me collect vintage sheets! I'm on the look out and now with this great tutorial I'm all set! Thank you for your inspiration and wonderful blog!! Love it..great post! I have acquired quite a lovely stash and you are so right about how they don't wrinkle! 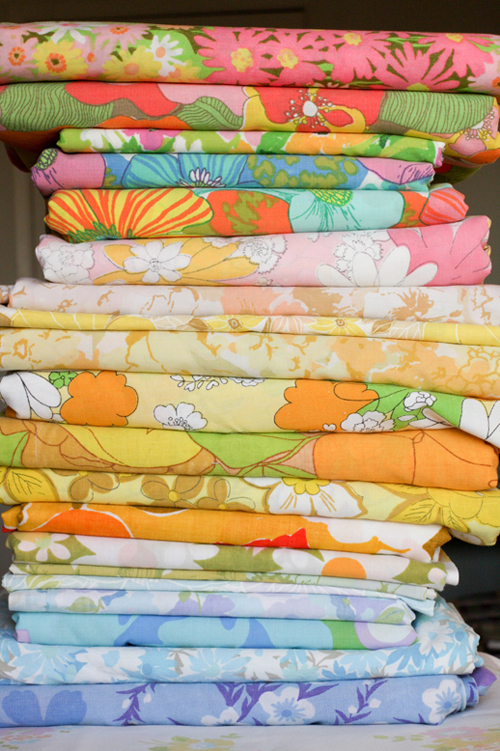 My fave thing is scoring several vintage lovelies and washing/drying them..its awesome to fold them up and admire the stack!! you have inspired me, i now have 3 vintage sheets in my fabric collection! I have been slowly acquirng vintage sheets, but haven't cut into them yet!! I do love their soft feel and bright colors!! Thanks for all the information. I am going to get some Biz or Oxiclean and get those puppies washed!! Very helpful - now I could just find the right store that isn't charging $12+ per sheet! What a great post!! Could I ask what would be the price range to expect to pay for the sheets? Mary Ellen, I just bought a king flat at Goodwill tonight for $5.99. An abomination. That Goodwill way overcharges. My local Goodwills charge $1.99 for twin, $2.99 for full, $3.99 for queen, and $4.99 for king. This is still high I think. The best selection and price is when you're just driving and see an Estate Sale sign in somebody's yard! I keep coming back to this post but still haven't got round to washing any of my finds! Thanks for the great tips. I do have a question though, what do you call vintage? Just been reading some discussion on flickr and some are suggesting fabric should be 50yrs old! I'm guessing much of the fabric you work with is probably from the 1960's/70's? My grandmother had at least 4 of the prints that you have pictured here. I believe I still have the one you have pictured in the package. I opened the package and made a baby dress out of one of them, and I think i still have one more-- not sure if it's still in the package or not. I loved seeing the pics of them! Makes me all nostalgic! 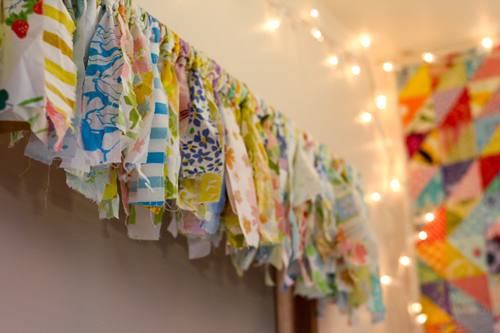 New this blog, but oh how I love the idea of using vintage sheets! I see some that I know I've seen in family closets before. I just put a call out to my family and friends on FB asking if they're willing to part with some! I just stumbled across this from Pinterest and I just love the idea of making a quilt. I sure wish I had my sheets when I was a little girl... I loved them! I am not much of a thrift shopper (I don't have alot of time) so I was wondering if you have ever bought vintage sheets over the web and if so, do you recommend where??? There are so many options with op shop sheets, doona covers and even material from there. Jeni, thank you so much for writing this! I've been in love with vintage sheets ever since I saw photos you've posted of your finds, and today I found my very first sheet at a local Goodwill. I was able to identify it as vintage because of this post! I've put up photos of my sheet on my blog, as well as links back to this post so others can learn. Thanks again! Thank you so much for all the info on vintage sheets! I bought a bunch of beautiful ones last summer (all shades of purples, blues, and aquas) but had to toss them because I couldn't get the "mothball" smell out! I didn't presoak them so perhaps they could have been saved. BooHoo! Yesterday I found a darling vintage, never been opened, set at an Estate. They are 50/50 cotton polyester. But you are SO RIGHT about them being stiff! I was expecting them to be smooth when I opened them up! Right now they're in the washing machine. But I was wondering if you have found that sheets like these get smooth eventually, or if there is something that i can do to help them along??? I'm hoping that this first washing will wash out some possible starch. Sorry for the lengthy email! They definitely do! When I find them new in the package, I run them through the washer a few times on hot, which does seem to help! I'm not sure if anyone mentioned this before but...even if you do find a semi-warn bottom sheet. The middle is usually the warn out place. 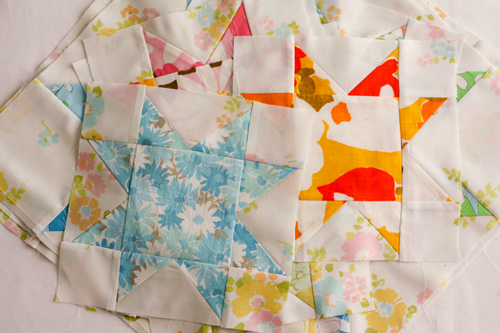 there should be great fabric along the sides that are large enough for piecing. Also- showing the clerk how warn they are they will usually come WAY down in the price, even let you have it for free. Garage sales are an excellent place to find vintage sheets too. Many people don't realize what they have and will dicker with ya. I wish I had your beautiful variety of sheets...but I am working on it. :) I think a sheet quilt sounds yummy. Thanks for they ideas and tutes. Love your blog, just found it on Pinterest. Thank you so much for putting the print option on your tutorials. I'm old school and like to have a file with tutorials and quilt patterns. I like to read it and have it in front of me instead of having to always look at computer screen. So thank you for being thoughtful that way!! Love your scrappy trip vintage finish which led me to this post. 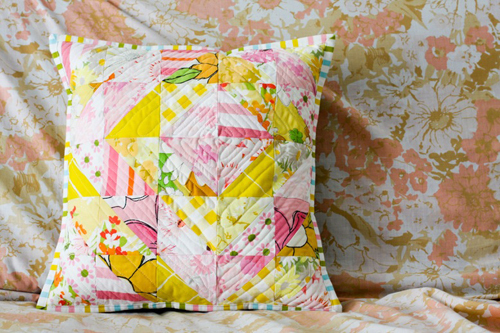 Just curious if you can mix vintage sheets with quilting cotton? 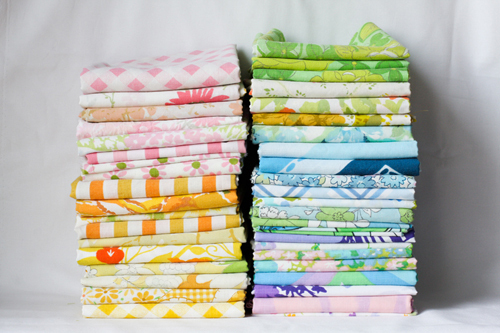 I have a small stash of vintage that I was going to mix with some quilting cotton that goes really well together. I think it would be okay! The only thing to keep in mind is that the sheets would be washed already, so they won't shrink!